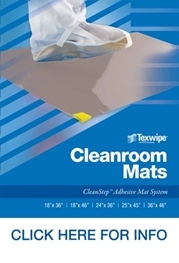 We've enhanced the Texwipe adhesive contamination control mat line with exceptional choices and superior performance. 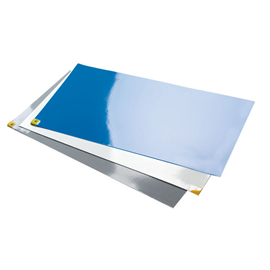 Choose a mat and pair it with a frame if you choose. Mat Sizes: 18" x 36", 18" x 46", 24" x 36", 25" x 45", 36" x 46"
The CleanStep's optional portable frame, is the time-saving, floor-saving, and clean alternative to adhering mats to the floor. Check out our brochure by clicking here.